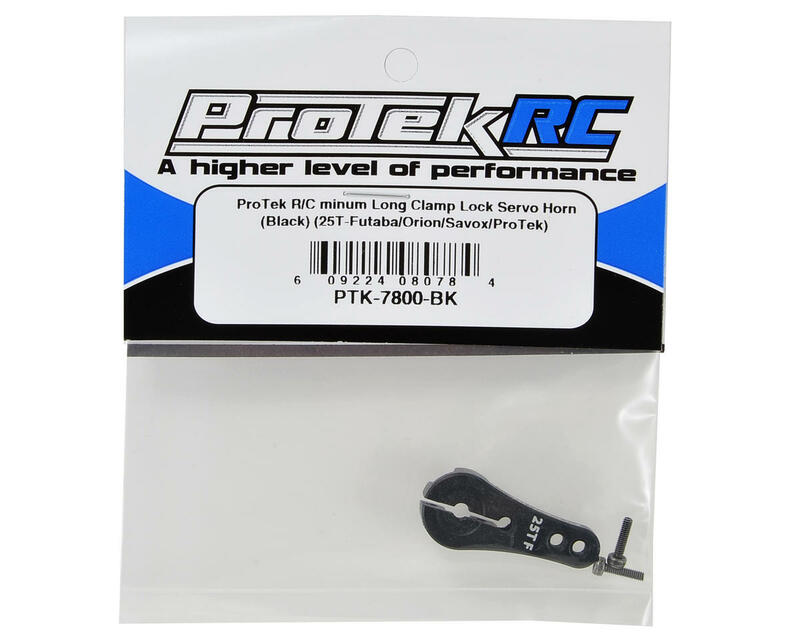 This is a ProTek R/C 4mm Aluminum Long Clamp Lock Servo Horn, and is intended for use with any servo that uses a 25 tooth spline output shaft. This extremely tough servo-horn has been machined from a solid block of aluminum for incredible precision, rigidity and durability. This horn features a clamp type design that grips the servo’s output shaft with enough force that even if the retainer screw comes loose, the horn will remain in place, increasing your chances of finishing the race! 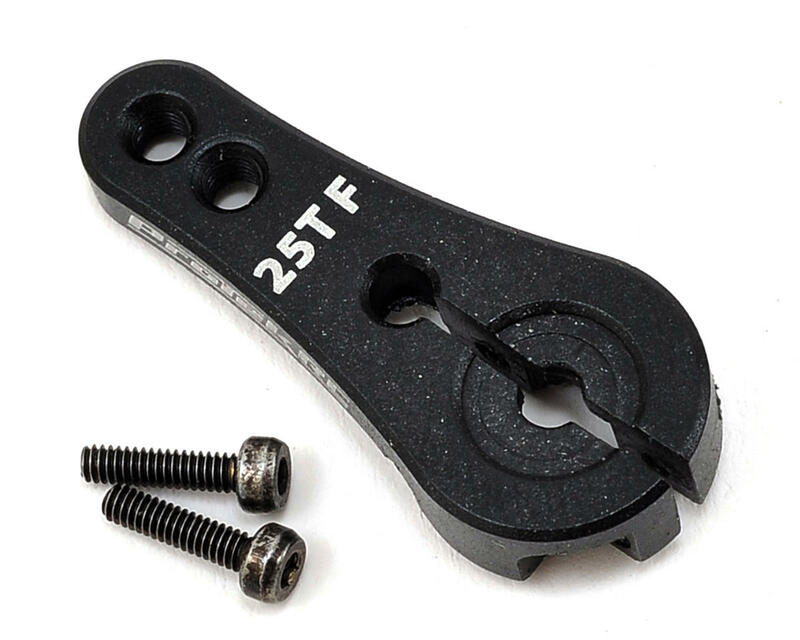 Additionally, the arm is 4mm thick for durability, has 19.75mm & 24.25mm hole spacing and uses 3mm hardware to suit the geometry and hardware requirements of most vehicles. fit and finish is top notch ........more throw more better!!! If you need a strong and sleek servo horn, look no further! This servo horn is super durable and matches many of the other aftermarket aluminum accessories. A must have for any 1/8th scale application!